Belgium held municipal elections yesterday which saw a new trend in European elections be confirmed after a copy of Germany’s Bavaria region result came through: Western Europeans are voting green again. The Green parties, which had lost sight over the past decade, are clearly on the media’s radar as the populists and nationalists now get confirmed in their positions of power in both Germany and Belgium but seem to have hit a natural plateau. On the left side meanwhile, the traditional socialist parties are being replaced both by extreme left progressive thinkers and mostly by Green parties. An anti-immigration party looks set to deliver a first Belgian Mayor in the town of Ninove. EU-capital and trendsetter for Western Europe Brussels, where NATO and EU Commission personnel votes was a case in point. Although in the northern poorer towns the normal parties saw slight losses but got confirmed, the southern (and richer) part of Brussels experienced a political earthquake with Green parties taking 20 to 30% in some areas. After ecological minded politicians also took near 20% in Germany’s Bavaria region yesterday, the press decided to focus on that result rather than on the right-wing populists and nationalists who also won. 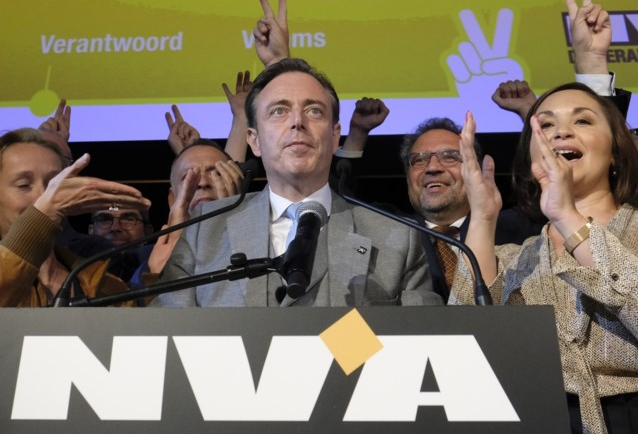 The nationalists of the New Flemish Alliance (NVA) were confirmed in Flanders’ greatest city where also the anti-immigration Vlaams Belang rose back up. The right-wing parties could now easily form a majority alliance but given that NVA also has a Federal government membership which it shares with a French speaking party this would be seen as very aggressive. The mayor of Antwerp, NVA leader Mr Bart De Wever (pictured) remained the most popular and will likely take another 6-year term. Rumour has it that Prime Minister Mr Charles Michel (of the French liberal party is taking his orders directly from Mr De Wever who many admit is the de-facto leader of the country. The Greens took some 17% while socialists lost. Lastly, a good laugh was gotten when the ‘Pokemon-party,’ created to hunt for Pokemon (you gotta catch ‘em all), did not manage to break through the 5% minimum threshold for representation in parliament.